Our quick guide to dog-friendly beaches in Terres de l’Ebre. Spain makes a big effort to keep its beaches clean – it is the country with the most Blue Flags in the world. But this means that often dogs are forbidden on beaches, especially during the summer (which officially starts on 21 June and ends on 23 September). You risk being fined if you take your dog on to a beach where it is prohibited. 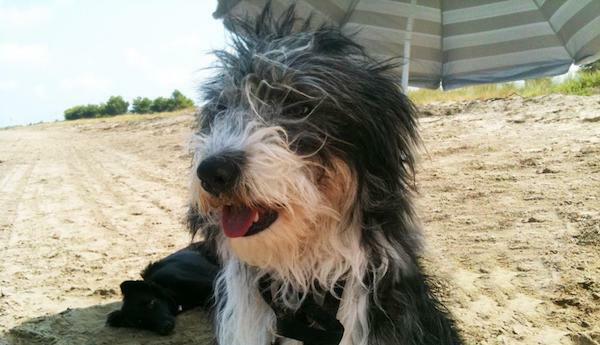 However, there are some beaches where it is permitted to take a dog – even in summer. There are more details via the Generalitat guide to beaches here. 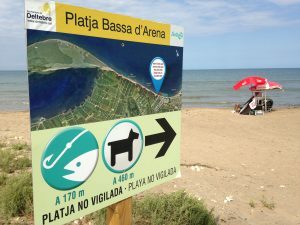 If you search for the name of the beach it will then display details of the current state of the sea, what facilities are available, and whether dogs are permitted on the beach (in Catalan: “S’hi admiten mascotes’).